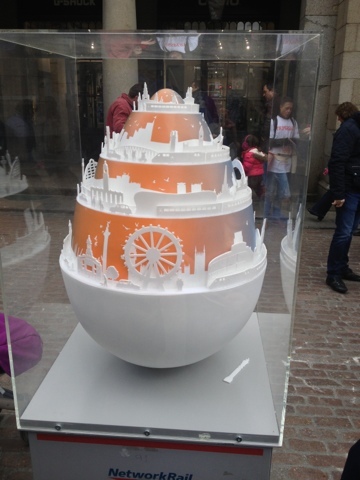 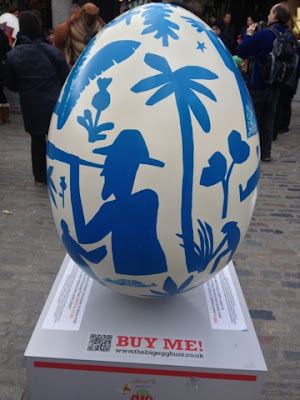 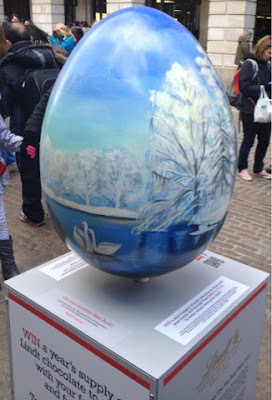 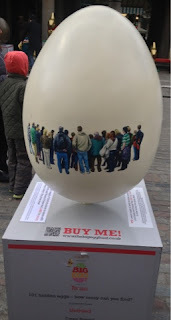 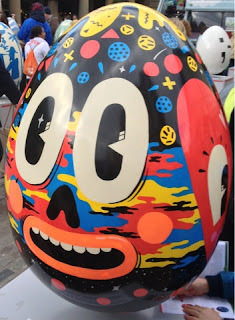 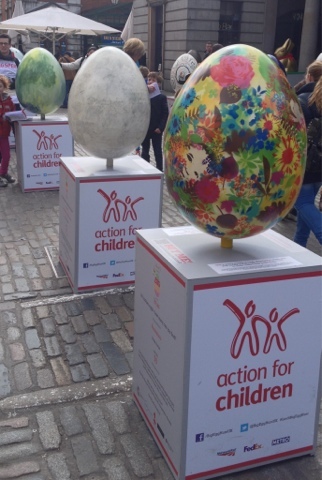 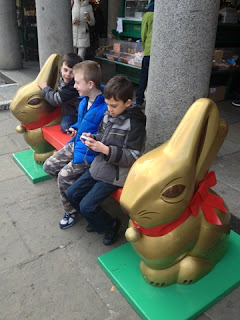 We headed down to Covent Garden on Saturday to take part in the lindt big egg hunt.in support of action for children..it is the worlds biggest Easter egg hunt, over 100 eggs have been hidden in and around covent garden until Sunday the 7th of April. 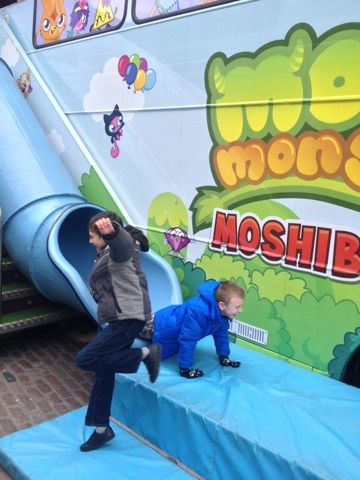 We made a donation of 3 pounds and were given a map and a hunt book...we had to spot as many eggs as we can...the kids had a brilliant time ticking them off and looking at the amazing designs..they even had the chance to meet one of the characters from Ben Ten...they also had fun going down the slide attached to the Moshi Monsters bus. 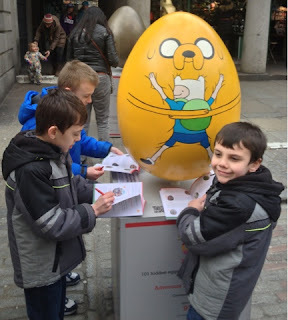 Disclosure : This is a personal experience of our day out, i was not instructed to write anything. 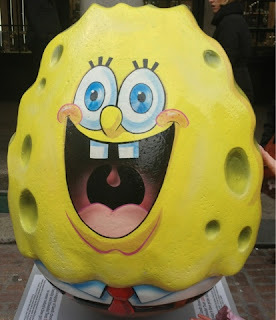 You all look like you had a great day out. 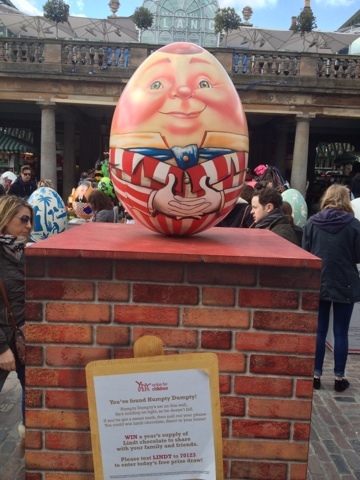 The eggs look great.